Not surprisingly, the cast of your admissions or campaign fundraising video is the single most important element in the communication. Why? The connection a donor or prospective student feels towards your school is an emotional one. The characters who appear in your videos – students, faculty, alumni – establish your credibility, spark the viewers’ empathy and forge that all-important human connection. And too often, not enough care is taken at the critical time in the process, that is, when choosing your film stars. Tribe Pictures offers these simple tips to get more out of every video production. The video you promote for your institution should not only show inspiration, but also aspiration. It is important to honestly reflect the diversity of your campus, while at the same time casting in the direction you want your college to grow. Remember, your prospects are looking for a stimulating environment, not homogeneity. In an admission video for one college with a reputation for being located in a remote part of the country, we prominently featured a student from Los Angeles and another from New York to subtly reflect the geographic diversity of the students. 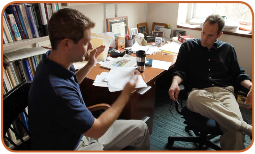 For fundraising videos, look for stories which include beloved professors from the age ranges of your alumni targets. But active alumni may be more interested in seeing what’s happening on campus today rather than solely hearing stories of past glories. For NYU Law, the alumni had little nostalgia for their own era, but were very proud of how the law school had grown in reputation. We concentrated on the school’s current achievements and vision for the future. While top scholars and “superstar” alumni might seem like the best choice to represent your institution, they may not connect with everyone or be the most engaging when on screen. For campaign videos, an alumnus who is dynamic with a rich story to tell may be a better option than one who has a high level job. A profile of an unsung alumnus teaching physics in a troubled Bronx high school turned out to be the most powerful of a number of stories in one of our college campaign films. The casting process is most effective when it is a collaborative effort between the administration and the filmmakers. 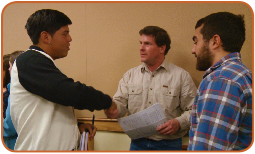 When pre-interviewing students in the initial casting phase, we often discover from the students who are the most dynamic and engaging professors. While the administration has the final say, filmmakers and students can bring insights to the casting process that administrators might not have originally considered. Voice over narration can be used very effectively, but again casting is key. Choosing a narrator isn’t solely about voice quality, but rather the connection the voice elicits. 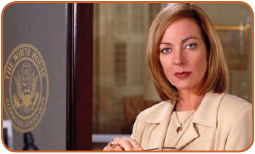 In a video for Kenyon College, Tribe asked actress Allison Janney to narrate. Allison is a Kenyon alumnus of ’82 and well known by the Kenyon family for her success in film and television. Allison personalized the video for the Kenyon audience, and reminded the viewers that alumni care enough for their alma mater to give their time. When the team has decided on a final cast list, let the filmmakers pre-interview these candidates. In these pre-interviews the filmmaker can break the ice, establish a relationship with the cast member, and understand what makes your school unique so they can develop a more subtle and informed presentation of the institution. When the real shoot day comes, the cast members will be more relaxed on camera. The cast can often provide more intimate footage than the filmmakers. Encourage cast members to use hand-held cameras (such as smart phones) while at home, with friends on campus, on a trip – wherever – to capture moments the filmmakers could never get. When we needed shots of life in winter for the University of Vermont, little snow was on the ground that year during our scheduled shoots. 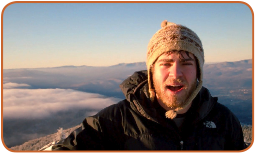 There was snow on the top of the Green Mountains and we commissioned one outdoors-loving student to climb one of the peaks with a flip cam to get us the shot with the sun rising over glistening snow. With 25 years of producing successful films, Tribe continues to learn a few new things every year. Filming at major institutions across the nation, including Franklin and Marshall College, Washington University in St. Louis,Washington and Lee University, and Agnes Scott College, we always enjoy capturing that contagious freshness and optimism. Although these students are not hard to come by, capturing those special moments on camera is a true feat of casting.